A broadsheet series created and published by PRINTtEXT in collaboration with an evolving cast of partners. Focusing on art and design, four issues have been released — Psychphonics, Mental Health & Luxury, Exhibit Columbus, and Syntax Season. Its political sibling publication, ASYMMETRY, has released two issues. An in-progress text and textile project. Sleepwear. 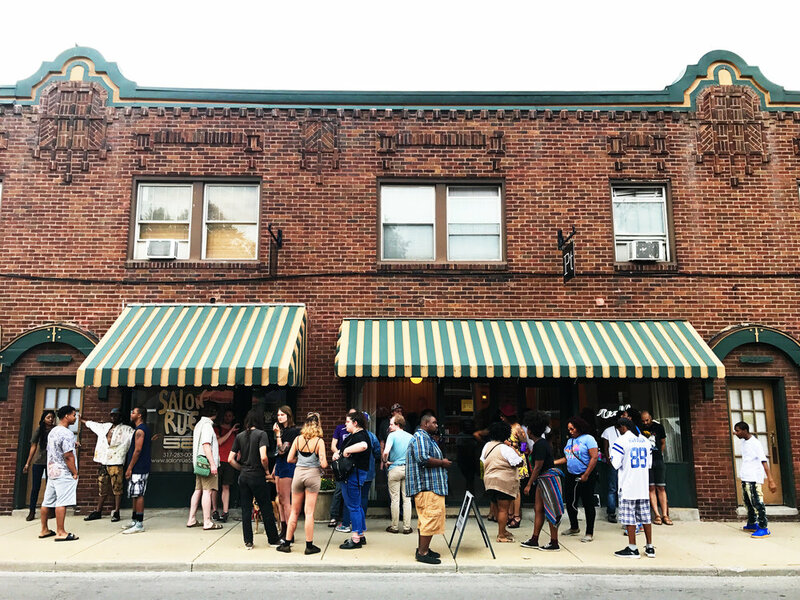 The space started as a periodicals shop and quickly evolved into a community space that hosted hundreds of events, openings, readings, and meetups. The shop was featured in Riposte, Need Supply, Vogue, Juxtapoz, Driftless, and more. Readings included evenings with Monster House Press and Soft River, Kaveh Akbar and Bree Joann, FAF Collective and more. Art openings included work from Alice Tippit and Nathaniel Russell (through A\M’s Syntax Season, featured in Women Artists vol 4 and in this Didactic broadsheet we published), Vito Acconci (with Christopher West), Rebekah Nolan, and Anna Martinez. An evening of readings, performances, and talks produced for the Museum of Psychphonics. Our work with the museum was featured in 032c and The Wire. Adjacent Mythologies featured an artist talk with museum architect Kipp Normand, an exploration of Afrofuturism and Black Panther/Wakanda led by poet and professor Mitchell L. H. Douglas, readings from the vanguard of speech and sound with femme ital by Face à Face, a conversation with the psychphonic curator, Michael Kaufmann, and a performance from the sonic oracle, Oreo Jones as Michael Raintree. We also designed, edited, and published this Didactic broadsheet for the museum. Founded with Jenni Burton as a platform to help people discover new (or new to them) ways to love Indianapolis. A three-times-weekly email newsletter — written by 70+ contributors — covered topics from new restaurants, cultural happenings, interviews, art openings, and op-eds. With a devoted and growing subscriber base, IndySpectator kicked off a wave of enews content in the city. We started this project as an opportunity for creative entrepreneurs to expand their knowledge, experience, and networks through multi-week immersive trips to Paris. Based in the Marais, this project was in collaboration with Le Camping and Silicon Sentier. Pattern began as a print counterpart to a series of monthly meetups. 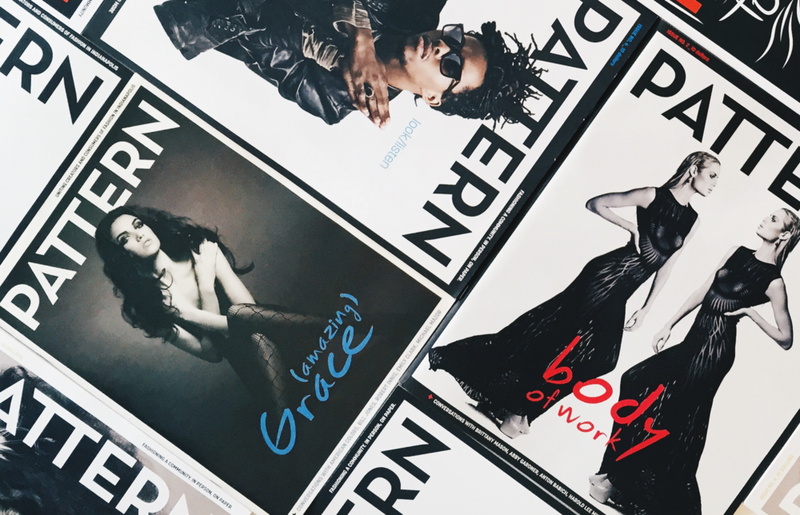 Pattern is biannual culture and fashion magazine, featuring work from designers around the Midwest. In concert with the magazine’s launch, we worked with Studio Science to rebrand the organization and rework its membership and meetup platform. Co-founded along with Polina Osherov, Nikki Sutton, and Kathy Davis, we had the opportunity to work as editors for Pattern’s first four issues. Now on their thirteenth issue, Pattern continues to grow and evolve with the city.